Yuanheng Gas owns two major liquefied natural gas production bases located in Ordos Basin and Sichuan Basis respectively. 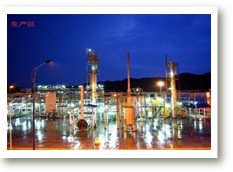 Adjacent to the two major oilfields, Changqing Oilfield and Puguang Oilfield, the production bases have sufficient and steady supply of gas. Having adopted the American BV patented liquefaction technology in respective of production techniques and being the advanced demonstrative enterprise of the American BV technology, it takes the lead in terms of technique and technology in the world. With numerous medium and senior professional technical personnel and having provided technical training for a number of liquefied natural gas plants, it can be referred to as “Huangpu Military Academy” in the industry. Being one of the earliest LNG plants in China, Xingxing Energy located in Erdos is the major project of creating new energy and chemical industry in Inner Mongolia. Xingxing Energy launched production in 2008 with an annual LNG output of 200,000 tonnes, with its scope of business covering East China, South China, North China, Northeast China, and Northwest China. Located in Dazhou, Sichuan, Huixin Energy is the major project of “Liquefying Sichuan”. 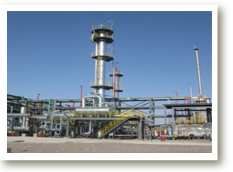 It launched production in 2010 with an annual LNG output of 200,000 tonnes. Its scope of business covers Sichuan, Guizhou, Guangxi, Guangdong and Yunnan.